Bill Klein is a Port Jefferson, Long Island-born American television personality as well as a businessman. 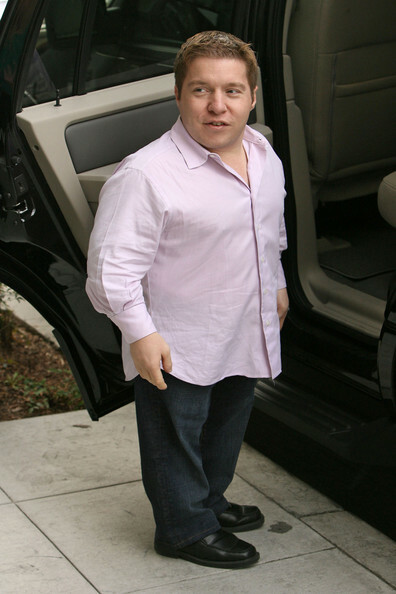 Noted for being of height less than 4 ft – 122cm – he has become a household name in America as he stars in the reality show “The Little Couple” aired in TLC. Born on 13 October 1973, Bill has been active in the entertainment sector since 2009. A reputed personality who has managed to earn millions during six years of his involvement in entertainment sector, how much is Bill’s net worth? As of 2015, Bill Klein has managed to amass a decent wealth of over $3.5 million. The major source of his income is obviously the television show in which he stars. Apart from this, he has also been an active businessman and his other ventures have also helped him gather his wealth over time. Raised in Long Island, New York, Bill was born into a working class family as the eldest brother of three brothers. He has a degree in biology from New York University but Bill initially directed his career towards business, his fist job being a senior management officer in Triad Medical, where he polished his entrepreneurial skills and talents. After leaving this job, he began counseling clients on his own, and during the time also he started a relationship with Jen Arnold who is of a similar height to Bill as both suffer from skeletal dysplesia. As the couple was discovered in 2009, they got a chance to star in their own show, “The Little Couple”, in which Bill and Jennifer shared their hardships and the daily life adventures they face due to their less than normal heights. The show which aired on TLC became a hit, and is at this time airing its sixth season. Bill and Jennifer are also better known for being more optimistic and inspirational personalities as both of them advocate finding good in every situation. Apart from being a part of this reality show, in which Bill and Jennifer have shown many interesting life adventures occurring on a daily basis, including their marriage which took place in 2011, and their adoption of two children, a son from china and a daughter from India, Bill has also appeared in many other television shows, such as “The Oprah Winfrey Show”, “The Dr. Oz Show”, “The Wendy Williams Show”, “Good Day L.A”, etc. During their show, Bill found out that his wife, Jennifer Arnold was suffering from a rare kind of cancer which was already in its fourth stage which hampered her becoming pregnant. Jennifer managed to survive the cancer after nine months of intensive treatment, and of course with the enormous love and support from her family. All of these emotional family times were also aired in their show which is still one of the major sources of Bill’s current net worth. For now, Bill has been enjoying his relatively tension-free family life with his two children and wife, and his successful career.